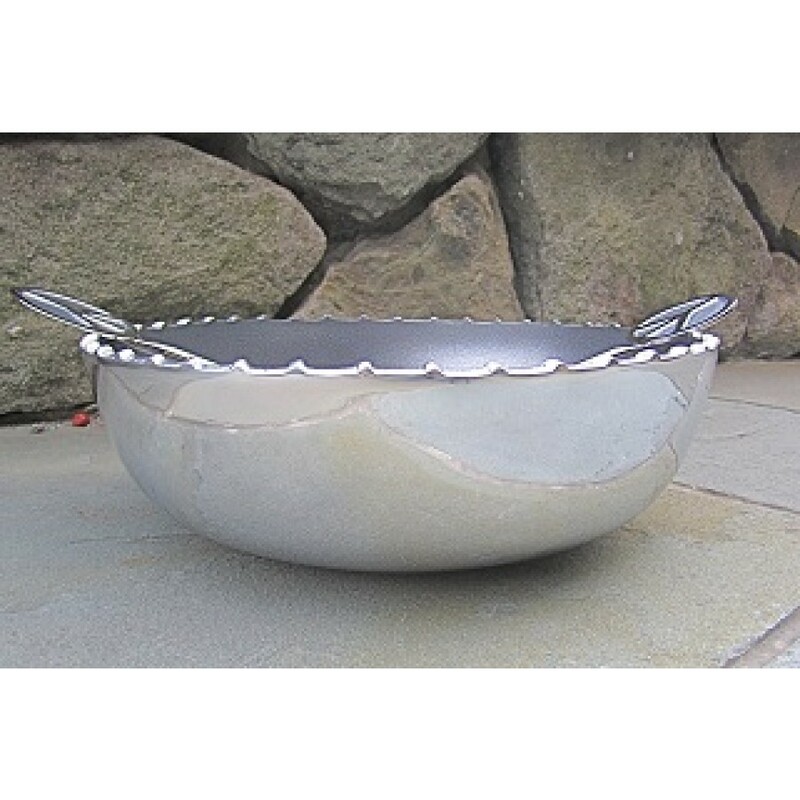 Width: 12.1" / Depth: 12.1" / Height: 4"
Great serving piece for your next Peaceful Gathering! 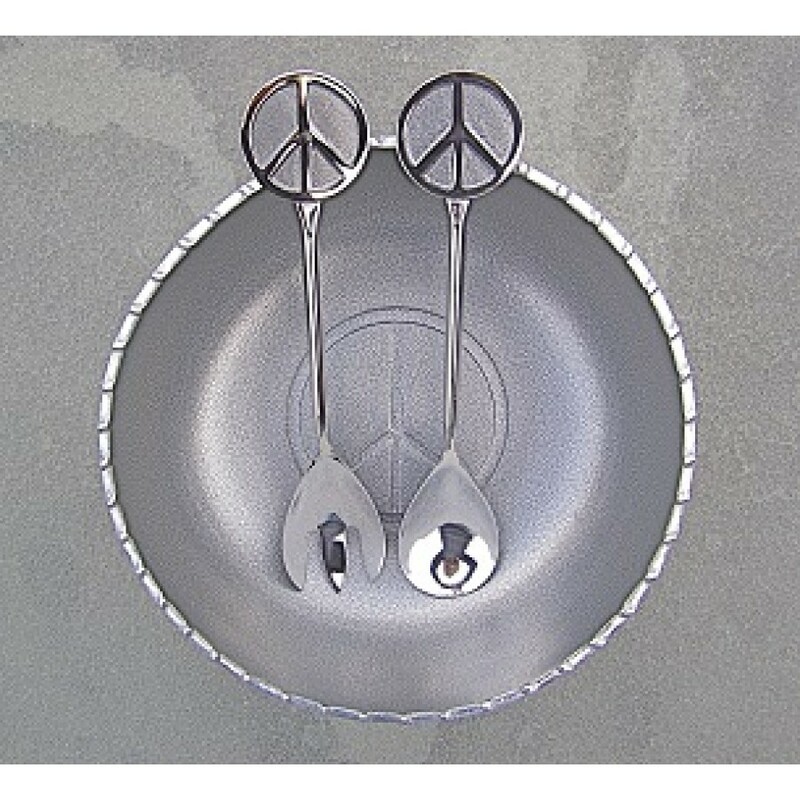 Trade in your generic salad bowl for the adorable Peace Salad Bowl. 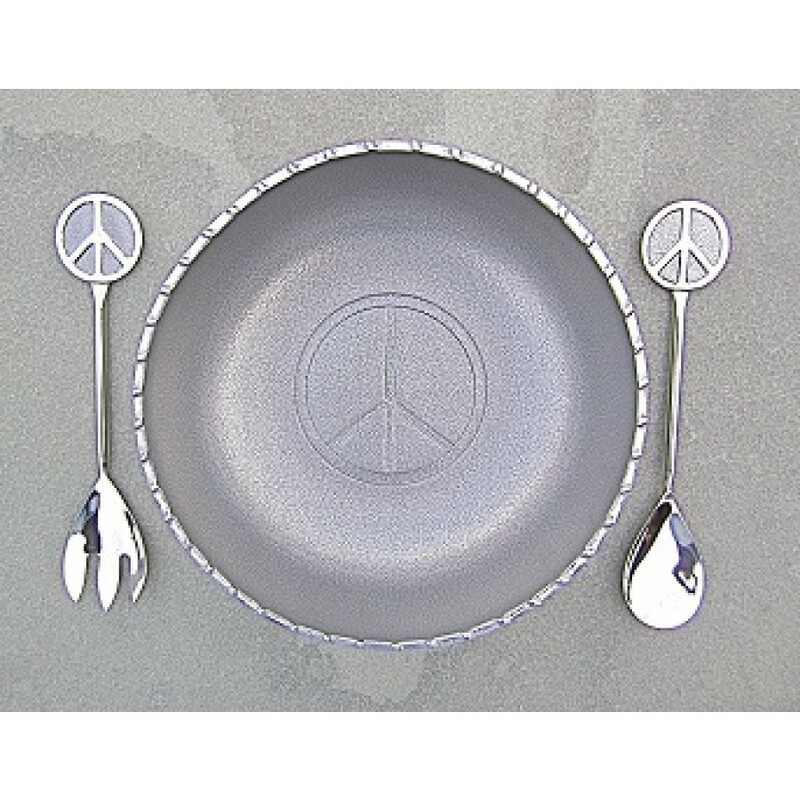 Featuring a silver interior and stamped peace sign, this bowl is charming and unique. Use it to serve everything from salads to pasta and side dishes. Spoons included. Food safe. Handmade with 100% food safe polished aluminum. A portion of the profits will be donated back to organizations supporting world peace by the manufacturer. Handwash only.